The Wrath of Ashardalon continues my lieu of Dungeons and Dragons board game exploration, this time taking 1-5 players on a Co-Op dungeon crawler within the fiery chasms of Firestorm Peak. You will grapple with goblins, oppose orcs, clobber a few kobolds, curse at cultists and blibber at some bizarre aberrations. You will encounter legions of devils, enraged fire drakes and steadfast Duergar guards and, eventually, you will face-off against Ashardalon. Holy smokes, I just crapped a 20-sided doodee! Whereas Smaug might have been 'Magnificent', Ashardalon is just downright fabulous. Whereas Smaug might have held the title of King under the Mountain, the Red Dragon is the true Queen of Drag (ons). 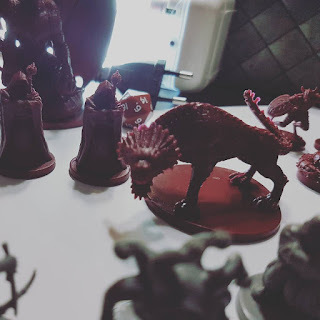 And make no mistake: Ashardalon is THE dragon yo' mama warned you about: Fiery temperament, flaming nostrils, razor sharp teeth and breath that will singe your beard so bad, your offspring will be spawning orange ginger caps until the end of time. "Beauty is in the eye of..." DIE! DIE! 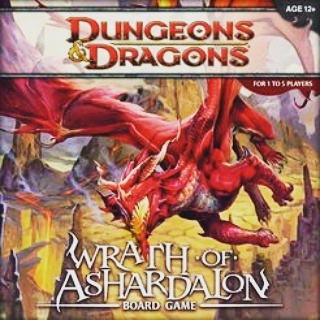 The Wrath of Ashardalon is yet another instalment in the series of D&D Board games and, in the same vein as both Ravenloft and Drizzt, carries the exact same gaming engine and rules. You're still exploring, hero-ing, and villain-ing, this time deep within the caves and dungeons of Firestorm Peak. 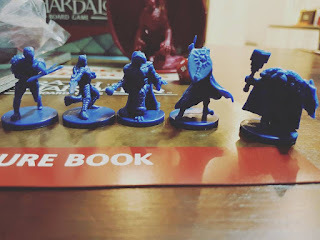 However, Ashardalon is a step-above the standard D&D board game and introduces us to some exciting new gaming mechanics that I have now gone on to use in ALL of our gaming group campaigns. First off, Ashardalon has the hardiest lot of monsters to contend with. 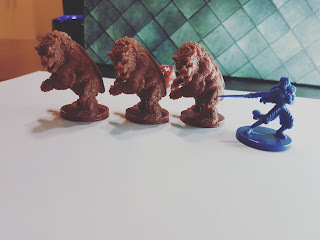 From cave bears to Grells to Gibbering Mouthers to Orc Smashers, the monsters in Ashardalon are tougher than those in previous instalments and almost always tougher to kill. Multiple monster spawns are also common such as the Legion Devils that spawn in threes. And then there are those damned Grells. If you have a fear of tentacles, squid, calamari or Spongebob, then it would be advisable to seek adult supervision before attempting this game. On the up side, to contend with the tougher monsters, the heroes in Ashardalon are more than apt to dish out a world of hurt. 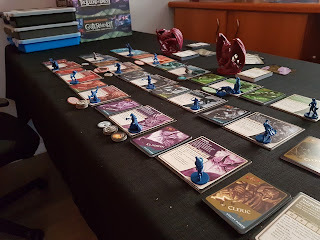 Quinn, the Cleric has some nifty kung-fu tricks with his blade barrier tokens which allows you to take out multiple monsters in one go (if you can get them all on one tile, that is). Heskan, the dragon-born Wizard has magical flaming spheres which you can send shooting off down the dungeon like a heat-seeker in pursuit of a mig (cue Danger Zone). 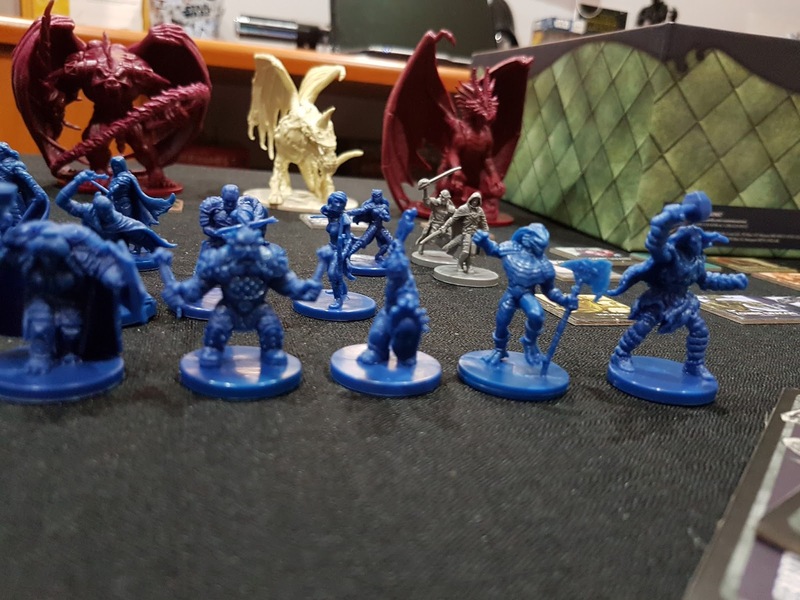 There are your standard fighters and rogues (and even an Elf Paladin) but where Ashardalon really shines and sparkles, is in it's treasures. These range from caltrops (similar to the Cleric's blade barriers), to a wand of polymorph to Vorpal swords and scrolls of monster control. Some of the campaigns even allow for 'trading' with some Dwarven merchants which makes it almost feel like an in-game NPC! More chambers means more dungeon which means more table! Ashardalon's biggest draw card (no pun intended) is the inclusion of chamber cards and tiles. 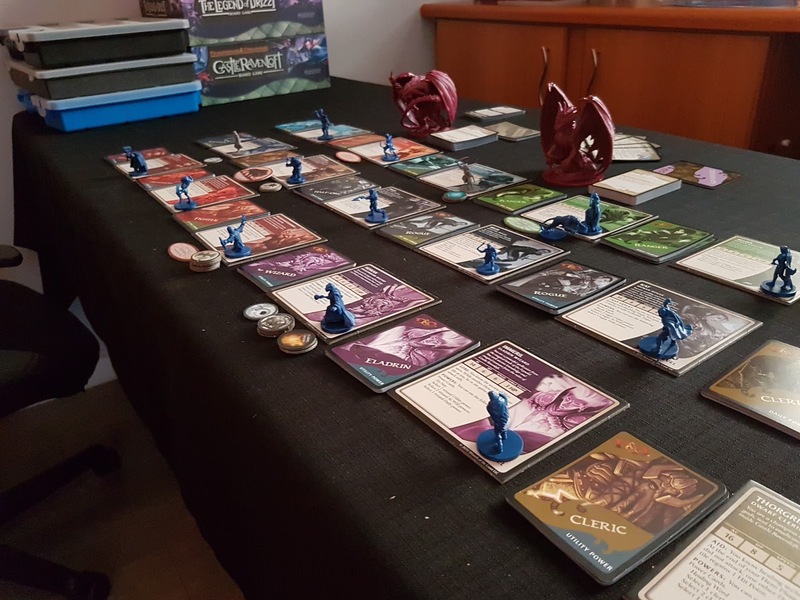 Before, in both Drizzt and Ravenloft, you were mostly seeking out one particular tile from the dungeon stack which would signify the end-of-game objective, Ashardalon takes this a step further. You are still seeking that 'one tile', only this time that tile corresponds to a particular 'chamber'. Once you have located the chamber entrance tile, you add ALL of the chamber card tiles to the newly discovered entrance and draw a chamber card for the current adventure. This will essentially almost always trigger the end-of-game scenario based on the particular chamber card but creates the effect of an epic boss battle. Instead of a single Big Bad, you now have a Big Bad along with a slew of monsters within a giant chamber to contend with which makes the game harder and more challenging. Which means your victories are more satisfying and your defeats more soul-crushing than in any previous iterations. 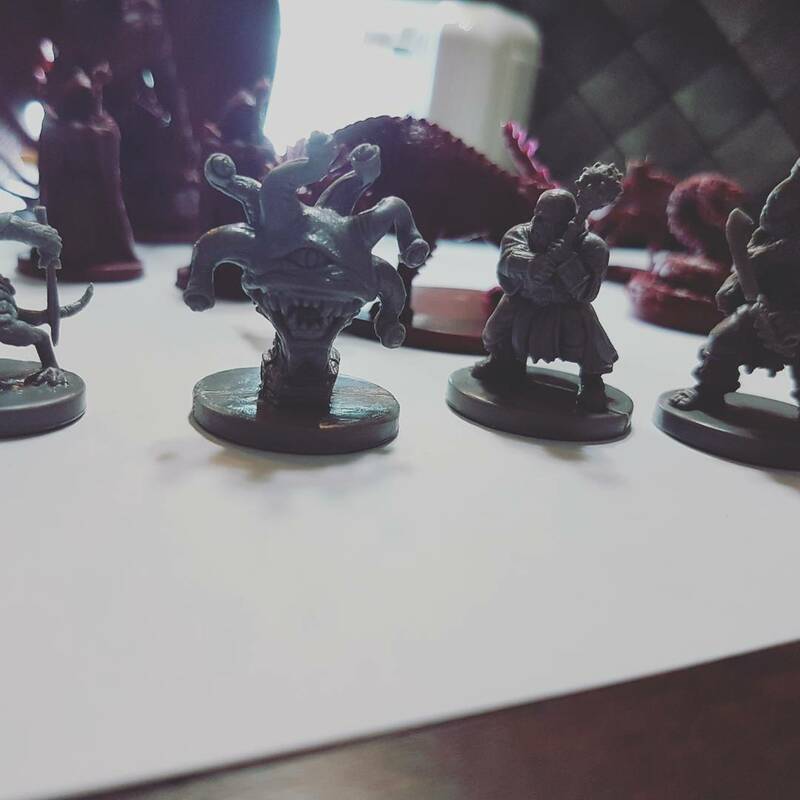 Off the bat, Ashardalon has the most impressive hero and monster minis in the series for me thus far. As expected, there's a giant Red Dragon but also a host of other monsters including a Beholder, and Orc Shaman and a Fire Drake that gets more pissed off the more you attack it. Of the heroes, the human cleric and dragon-born wizard are amazingly well sculpted and are now almost always part of my adventuring party. The human cultist mini would make for an awesome Necromancer and, along with my Druid idea for the Drow Wizard from Drizzt, will soon be joining my campaign as custom characters. All in all, top notch components. 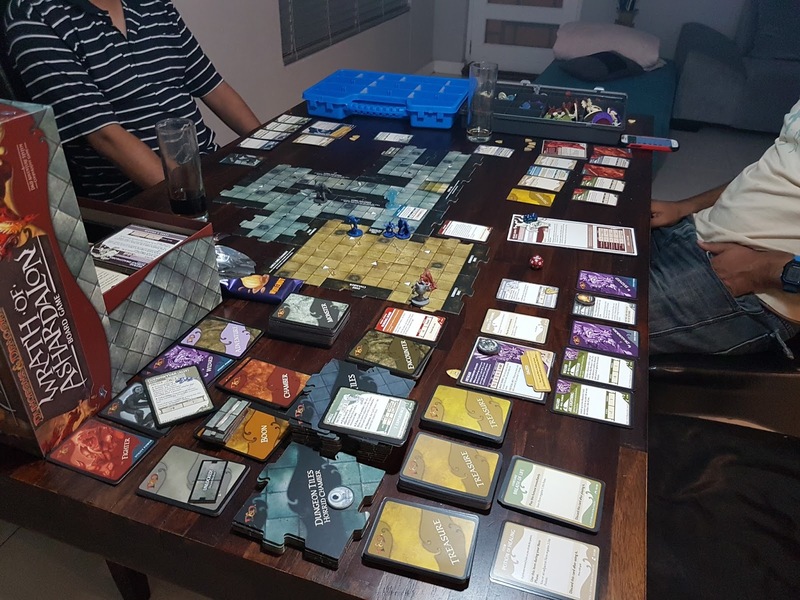 As before, check my Castle Ravenloft explanation on game play. The mechanics are exactly the same for Ashardalon. 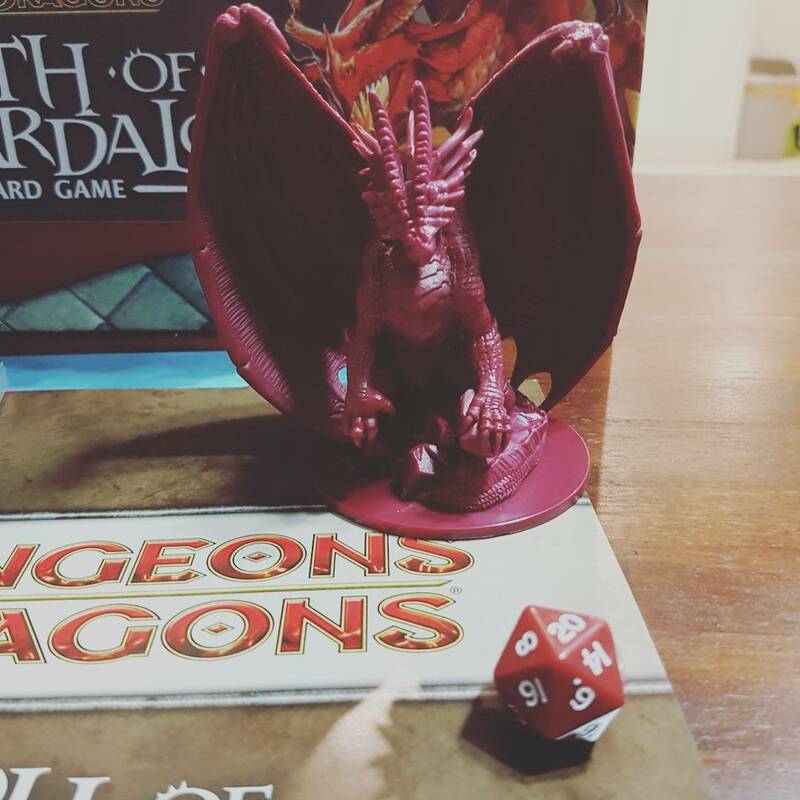 Like with the previous two, this is again a perfect game for players wanting an entry into the world of Dungeons and Dragons. The campaign adventures are certainly a lot more fun than both Drizzt and Ravenloft and the chamber cards adds a really excellent mechanic and depth to gameplay. There are now custom cards for Ravenloft available online and I cannot wait to download and print them for future games.